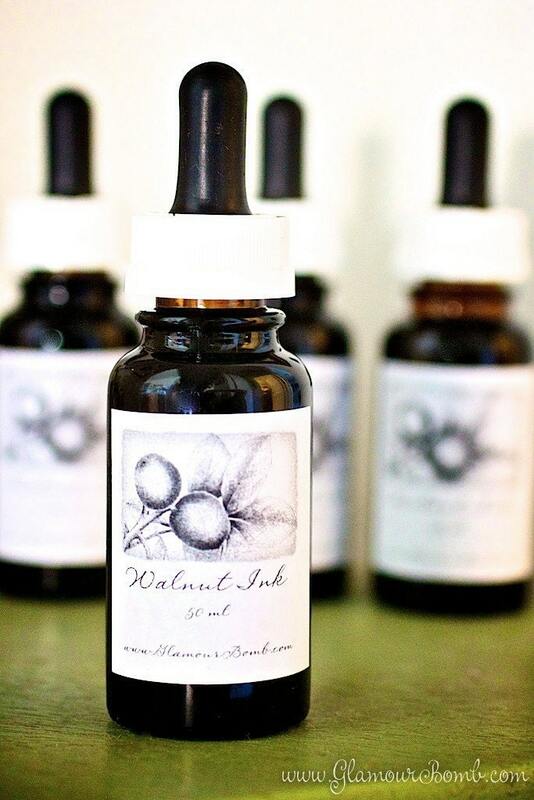 Purchase 50ml of Walnut Ink on eCrater! Throughout the centuries walnut ink was used in the arts and letters. However, bet you didn't now that in ancient times walnut ink was used to stain the hands of gypsy criminals in Europe because once stained, it's extremely difficult if not impossible to wash off and it remains in the skin for a long time. In more modern times, walnut ink is used in scrapbooking to beautifully age and distress papers. Be sure to use card stock or pattern paper with no coatings on it. One of the best tutorials I found was from kandrewdesigns on YouTube. Check it out here. Some other techniques I learned from the TheScrapbookStore.net include a wax resist technique in which you draw a design on your tag or paper with a white or light crayon, then wipe across the paper with the walnut ink to reveal your handiwork. You can also scratch the paper with a paper clip or fork tip. The scratches will darken when the ink is applied. That said, scrapbookers aren't the only enthusiasts of walnut ink. It can also be used to dye or stain practically anything including wood, pottery, yarn, cotton, muslin and wool. However you use walnut ink, just remember that it is water soluble so your finished product should be sprayed with a fixative or sealer. This walnut ink is sourced from California Black Walnuts (juglans californica) which are protected native trees within the state. The ink is preservative free to maintain its archival quality. It is bottled in dark amber glass as walnut ink is sensitive to direct sunlight. It's best to keep it refrigerator when not in use. Oh, and special thanks to the Graphics Fairy for the artwork used on my product label.